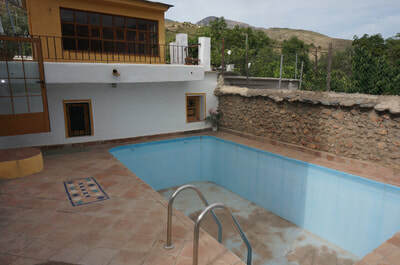 tablones townhouse for sale Las Alpujarras - Granada - Andalucía- Spain - - HomesEspana Orgiva Property Real Estate Agent Inmobiliaria Since 2003 UA-39695354-1 HomesEspana Orgiva Real Estate Agent Inmobiliaria In Orgiva and lanjaron for Properties In The Alpujarras-Granada-Andalucia-Spain. 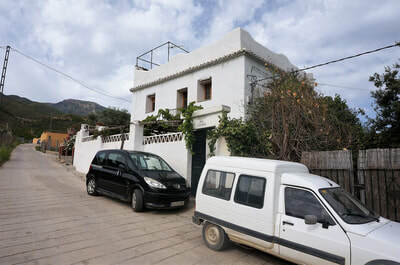 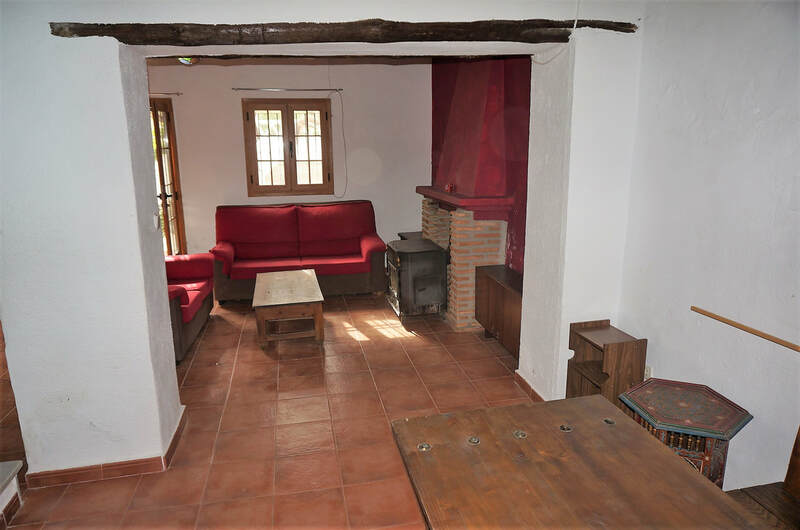 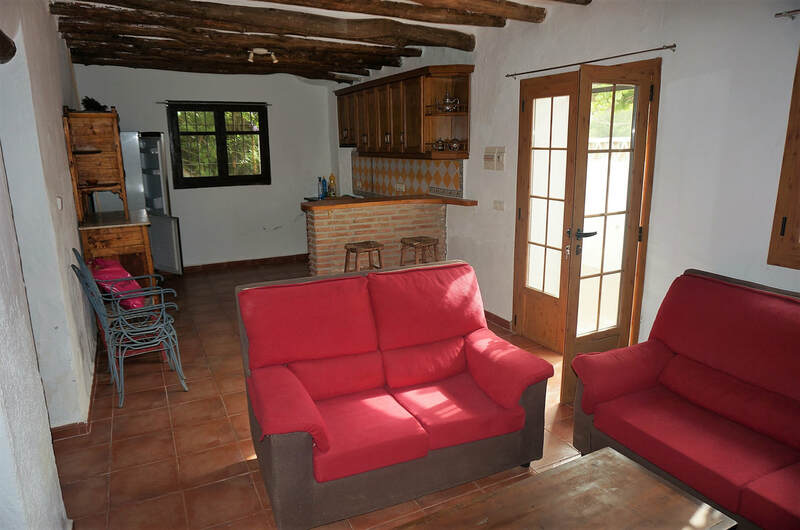 Two adjacent houses in a rural zone, in a small group of similar houses, located 500m by good cement road from the village of Tablones,in the municipality of Órgiva, 4km distant. The larger house is of two stories with a roof terrace and swimming pool, and with three bedrooms and a bathroom. 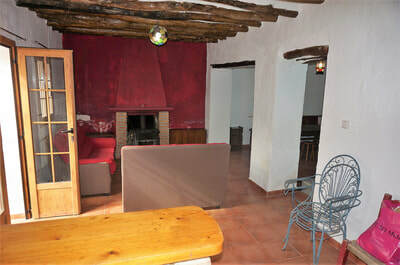 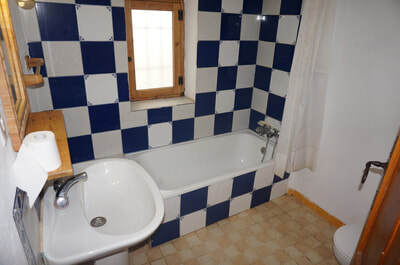 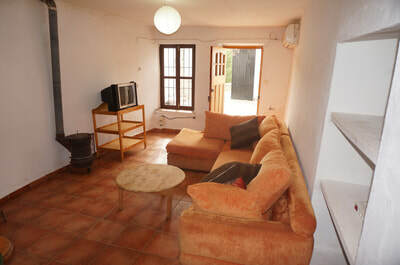 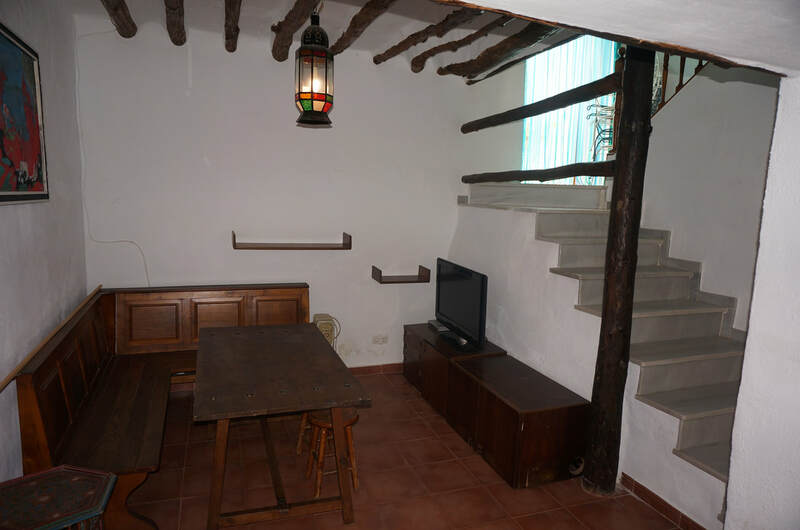 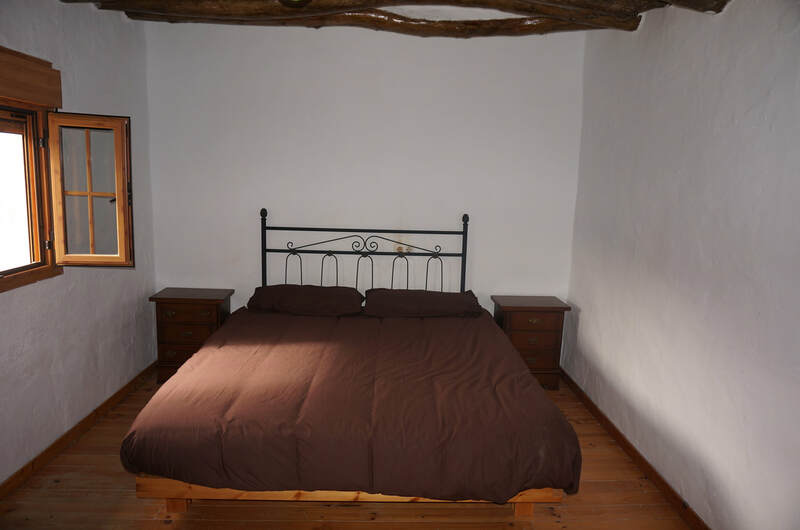 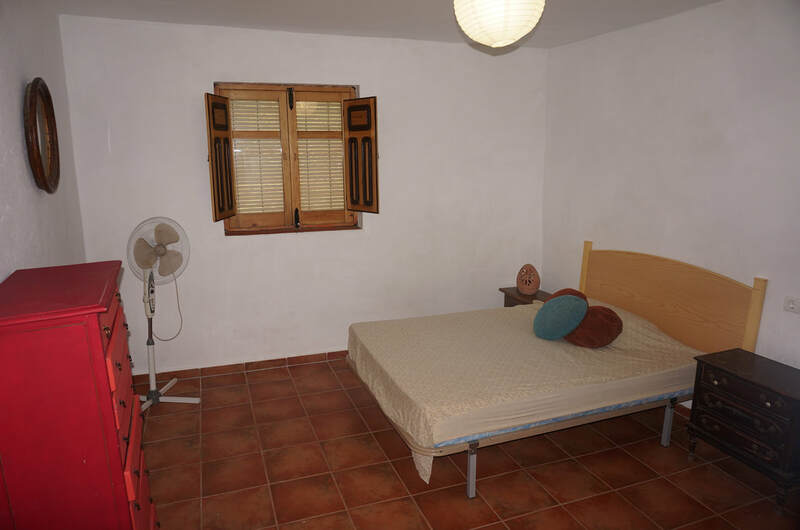 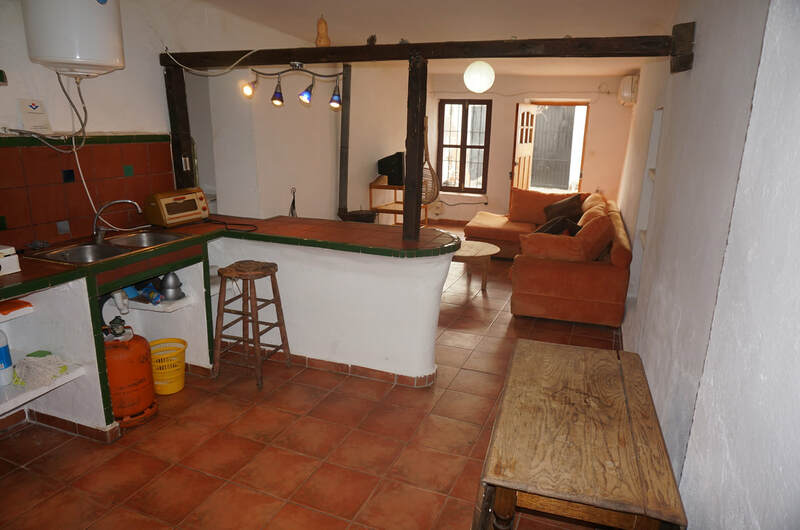 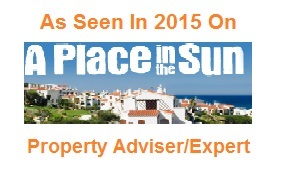 The smaller house is of one storey with a roof terrace, and with two bedrooms and a bathroom. 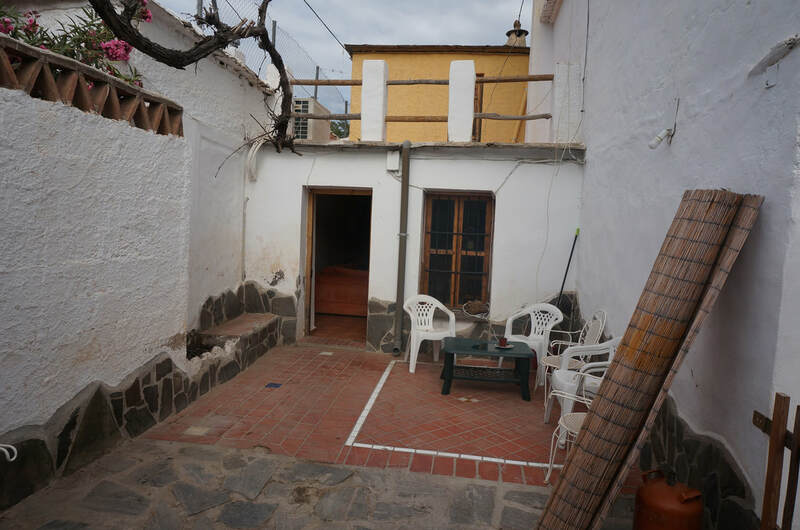 The larger house has about 200 m2 built, not including the roof terrace. The ground floor consists of a large living room-dining area, with fireplace, and an attached spacious open plan kitchen. 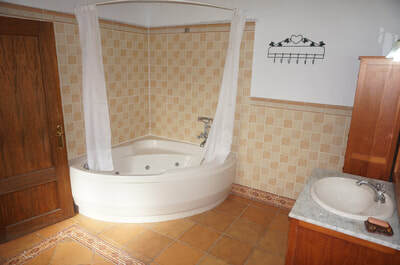 Wide marble stairs lead to the first floor with three bedrooms and an unusually large bathroom. 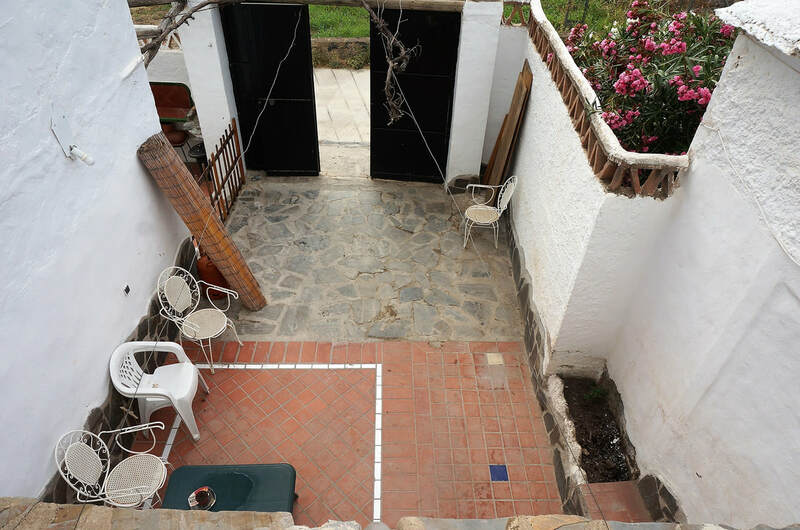 Stairs lead from the first floor to the roof terrace, of about 80 m2, with a gazebo/belvedere room with all round glazing. 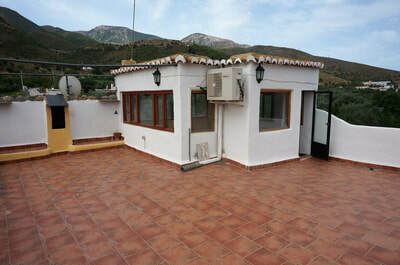 The terrace and belvedere have fine views of the surrounding countryside ( the valley of the Guadalfeo, the sierra Lujar to the south and the sierra Nevada to the north). 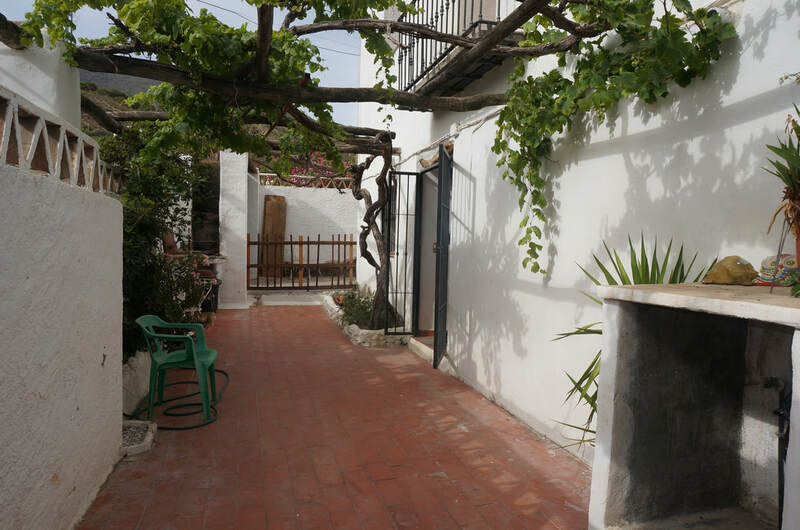 In front of the house is a pleasant private patio, shaded by a mature vine, and behind the house, accessed from the living room, is the swimming pool and surrounding terrace, with full pump-filter-skimmer system, and with privacy assured by an enclosing wall. The second, smaller house is directly adjacent to the main house, but is totally independent with a separate street entrance. On enters into a front patio, with shading vine, and which opens into the living area, with open plan kitchen, and at the rear two bedrooms, a small vestibule and a bathroom. A spiral staircase leads up to the roof terrace, with another belvedere-like room, and with fine views in all directions. 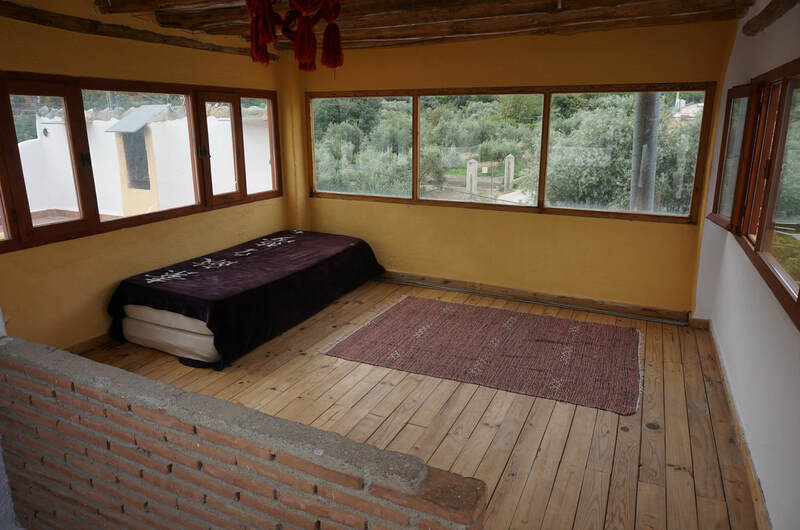 The quality of both houses in terms of construction, finish and furnishing is very high, and there is double glazing and air conditioning. The houses are connected to town water and electricity. 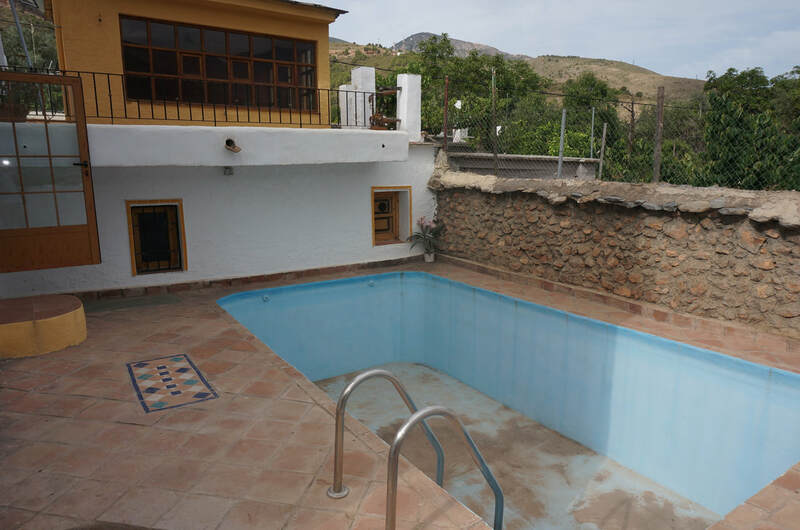 Los Tablones is a quiet peaceful village with few facilities, but the town of Órgiva, with 5,000 inhabitants and many facilities, is five minutes away by car.